home about aisha frenzy get listed the directory aisha frenzied? 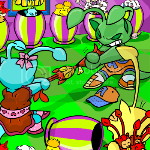 aisha shopkeepers famous aishas aisha galleries aisha avatars featured aishas aisha toybox aisha petpages blue aisha plushie Link us and affies sitely back to neopets! WARNING - this page is graphic intense, it may take some time for all the pictures to load! Aisha Frenzy, an absolutely awesome Aisha directory!! We are more than just an directory!! We also feature an Aisha Gallery Listing, Famous Aishas, Shopkeepers, Avatars, and coming soon Graphics, featured Aishas and much more so take a look around we do hope to have a little bit for every Aisha lover! Added 2 lovely Aishas to the list today!! Added 2 new wonderful affies today, make sure you go and check them out! Hello, Crystal here, I am the host of Aisha frenzy. And since you have stumbled upon our directory I would love to tell you a bit about Aisha Frenzy. Well you see my mom, back in 1/01/2008, was looking for an Aisha directory to proudly list her Aishas and noticed that there was none open anymore and since she enjoyed running her Split Directory(now closed) so much mom could not help herself and decided to start an Aisha directory of her own .. and well here we are!! We hope in time that we can become more than just an Aisha Directory but place full of Aisha info, graphics and more :) Ok well ... I guess that sums it up! Off to work on page, always alot to do here to keep this Aisha busy!! Are you Aisha frenzied like me? Crazy over Aishas? Created side accounts just to put more Aishas on it? Ever consider yourself an Aisha hoarder or just have more than one? Can't get enough Aisha plushies or trinkets in your SDB? Have a gallery full of Aisha goodies? Have over 90 something blue Aisha plushies collected .... errr wait that is me! Well then this list is for you!! Wanna be added to the list? ?, Ok the just send a neomail starfyre31 and she will add you to the list!! 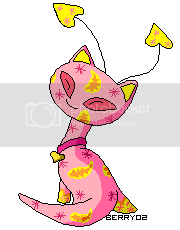 Looking for the just right Aisha shopkeeper to keep an eye on your shop .... Neopets has several great Aisha shopkeepers that should suit your needs, just like the ones below!! Follow this link to get you an Aisha shopkeeper! It's all about the famous Aishas around Neopia here!! Here is a list of Aishas that have been featured in plots, games, cards and much more. 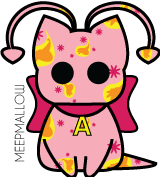 But a course to us here at Aisha Frenzy think all Aishas are famous no matter who they are! CLICK HERE TO GO ON TO THE THOSE AISHAS!! Want to show off your Aisha collection or maybe you just would like to see some cool Aisha items ... Well then look no further!! These wonderful Aisha Frenzied individuals have shared their galleries with you!! Just cick the pictures below to take a look at all the lovely Aisha goodies. Wanna add your gallery to the list just neomail my mom Starfyre31 and she will be more and happy to add your gallery! NOTE:Please do not neomail the gallery owners for their items, neopoints or pets themselves! 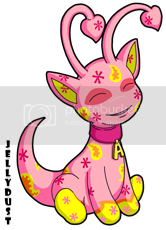 Use any Nerkmid at the Alien Aisha Vending Machine. View the main page for Series 1 of Defenders of Neopia. Randomly awarded when winning a prize in Buried Treasure. Visit Chapter 5 of the COM plot comics. Successfully submit a score of 20,000+ in Assignment 53. COMING SOOON ~ Thru the years of hosting this directory we have seen some pretty awesome Aishas, but acourse aren't all Aishas awesome! And we would to love start featuring some of those Aishas that ... stand a bit, great customization, fansctating story, or just too darn cute that you have to say hey look. This feature will start after the clean up of the directory is done and then we will starting featuring monthlty awesome Aishas!! PLEASE RESPECT THE OWNER OF THE ADOPTABLES PAGES RULES after all they worked very hard to give us such awesome adoptables! NOTE:These pets are NOT up for adoption, do not neomail their owners for their items, neopoints or pets themselves! have you seen this aisha?? have you seen this aisha? I love to collect Blue Aisha Plushies!! I started collecting them when I first started playing and now I causally collect them and ever now and them I am lucky and some one donates a Blue Aisha Plushie, which in itsleft is absolutely amazing!! And this is just a little spot just to say thank you to all the amazing people how have donated to my collection!! i_luv_dribbles, shy__smile, snow_faerie26, shelby1999, anarchy_worshiper23, gabby_nickless, volskey and biglobird!!!! OMG what an awesome surprise!! Why you are here, why don't you show Aisha Frenzy some love by grabbing a button and giving us a link back. 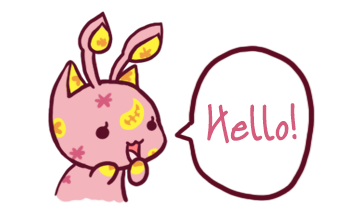 That way you can help spread the word about Aisha Frenzy and letting other Aishas know all about us :D Also any comments, suggestions, oopies, throw blue aisha plushies at me or just anything you would like to say? Feel free to neomail me!! Awesome Aisha Directories and more! Layout, to the top button, the headers in the pet directory area and CSS by Monky from Bedazzled. Banner,background by me from my colourlovers account and layout badly tweaked by me. Bullets, headers, button holder and dividers are from The Lunch Box. Check all the Aishas links ~ wow very time consuming!... half way there! 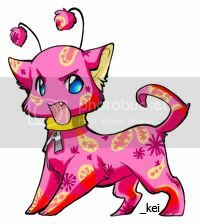 NEOPETS, characters, logos, names and all related indicia are trademarks of Neopets, Inc., © 1999-2014. ® denotes Reg. US Pat. & TM Office. All rights reserved.